When Kenya's agriculture ministry introduced Prosopis juliflora—a thorny weed native to South America—to arrest soil erosion in Baringo County in the Rift Valley, 30 years ago, it was viewed as a viable solution. However, this particular step to combat land degradation backfired with fatal consequences for the local populace and livestock. The noxious weed spread quickly, displaced native flora and destroyed biodiversity. It formed impenetrable thickets, blocking people’s access to fresh waterbodies. 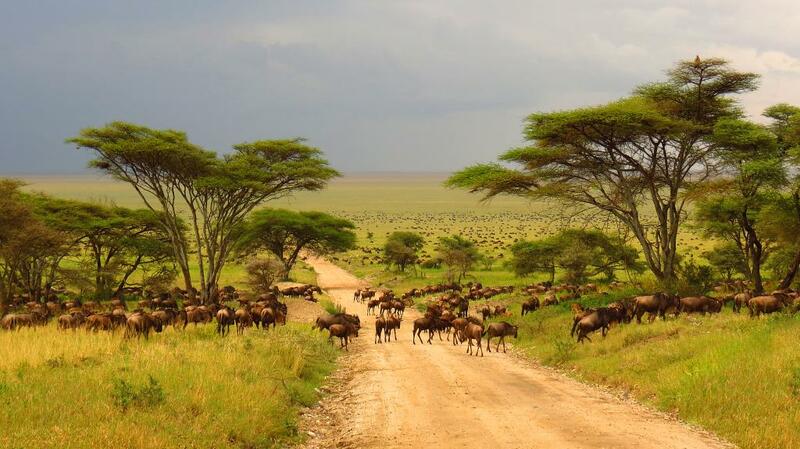 The “irresponsible” act enraged the pastoral Ilchamus community, which sued the Kenyan government in 2006 and sought compensation for innumerable damages: loss of rich pasture lands, destruction of water sources and damage to livestock. Though the court ordered the government to clear the weed, nothing was done to contain its spread. The community was not compensated either. The weed is still expanding, forcing herders to abandon their lands. There have been other cases also related to the weed, but nothing has happened so far. Invasive species like Prosopis juliflora, which thrive on degraded lands, were introduced in Africa as reforestation solutions, says Arne Witt, an expert on alien species, at the Centre for Agriculture and Biosciences International, a Nairobi-based non-profit. Even in India, it is threatening bird population in Tamil Nadu. “Invasive alien plants reproduce faster and have few or no natural enemies. They impact the productivity of croplands and give rise to human-wildlife conflicts due to gradual land erosion,” Witt explains. At present, sub-Saharan Africa (SSA) is under threat from wild sage (Lantana camara), Chromolaena odorata, a tropical flowering shrub native to the Americas and rubber vine (Cryptostegia grandiflora). These species threaten the future of pastoralism in Africa, where over 70 per cent of 500 million hectares (ha) of grazing land is facing degradation. Scientists warn that these degraded landscapes, incapable of supporting either farm animals or wildlife, will soon resemble deserts. To counter these harmful species, Witt advises land restoration. One sure shot way is to ensure that only indigenous plants are used for reforestation. Land degradation is a serious issue in Africa. According to the Food and Agriculture Organization of the United Nations, the continent loses about 2.8 million ha of forests each year, and about 50 million ha are affected by degradation (see ‘Broken Landscape’). To tackle this, 20 African countries have committed to restore 100 million ha of degraded forestland by 2030 under the African Forest Landscape Restoration Initiative. The Great Green Wall Initiative, which is part of the United Nations Convention to Combat Desertification, aims to halt the southward spread of the Sahara desert. This would help sequester 250 million tonnes of carbon, create millions of jobs in rural areas and benefit more than 232 million people in the Sahel region of Africa. Under this, some 8,000 km-stretch of land will be restored from Senegal in the west to Djibouti in the east. Founded in 2007 by 21 countries, the initiative has restored about 15 per cent of land till now. But while these are commendable efforts, the reality is that more eco-systems are being lost each year, says Rwanda’s Lands and Forestry Minister Francine Tumushime. “Land restoration in Africa is a huge challenge, but a holistic approach using land and forestry governance tools would help accelerate the process,” Tumushime says. In Rwanda, a small country in East Africa, reclamation of 13 million ha of land has started. Women have been made a crucial part as they own 24 per cent of land. In Malawi, about 80 per cent of agricultural land is degraded. According to Tangu Tumeo, a senior forest officer at Malawi’s Ministry of Natural Resources, the government has already embarked on restoring about 8 million ha through improved agricultural technologies, agroforestry and conservation of riparian lands. In Kenya’s Mau forest area, more than 5,000 ha of forest has been restored, says Kenya’s Environment Minister Keriako Tobiko. An estimated 2 billion ha of global land needs urgent restoration, according to Robert Nasi, the director general of the Centre for International Forestry Research, an Indonesian non-profit. The global economy loses up to US $4.5 trillion annually due to land degradation while the economic benefits of restoration amounts to $84 billion a year. “Continued loss of forests and other vital ecosystems are affecting the well-being of an estimated 3.2 billion people globally, the most vulnerable of them are found in SSA. Degradation is a pervasive, systematic phenomenon that the world must tackle urgently,” he adds. Land is an important source of livelihood for the rural poor, especially grazers. In SSA, more than 50 million herders are at risk at present due to severe land degradation. “However even if commitments to restore land-scapes are turned into concrete action, strategies to halt further degradation need to be put into place to ensure that the gains already made are not wiped out,” Witt adds. (This article was first published in the 1-15th October issue of Down To Earth under the headline 'Noxious invaders').